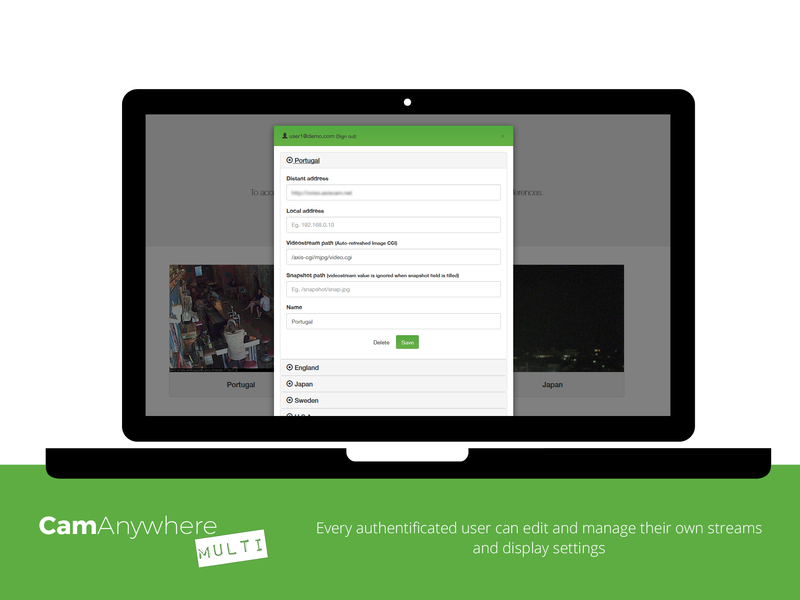 If you want to manage or broadcast your (surveillance) cameras in only one simple and easy way, you got it! CamAnywhere Multi-user has been developed following many requests from our buyers. This newer version is still so powerful and easy to use. Please note, saving & deleting functions have been disabled in the demo preview. Also, some demo video streams may also be unavailable due to technical issues from their owners, or dns refresh. Use the “Distant” mode. An easy-to-follow user documentation is also provided. Check our support’s FAQ for more information on how to set up your camera and streams. Your feedbacks and improvements requests are welcome, do you want something new in a future release, contact us via our Envato profile.